If you are designing an outdoor living room, there are some important points to keep in mind. Design qualities are always a concern, but there’s more to it than that. You will also need functionality and durability, as well. Since outdoor living rooms are quickly becoming one of the most popular amenities found in back yards, you want to make sure yours is the right tone. Outdoor living rooms are one of the fastest growing trends for the backyard. You can use this area for entertaining, relaxing, cooking, dining, and other activities. You can bring your indoors outside with just a little creative ingenuity. If designed properly, you may be able to use this area throughout most of the year. A nice concept for an outdoor living room is to construct it on multiple levels, instead of on a single, flat area. You can use a terrace or a deck as an entranceway into the living room, even if it is only a few steps up or down to the living room area. What Should You Include in Your Outdoor Living Room? You can design your outdoor living room with just about anything you wish. 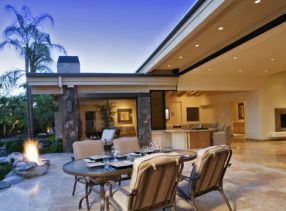 Some people create an entire outdoor kitchen and living room area in one space. This can be complete with an outdoor kitchen island, complete with gas grills. There are outdoor dining room tables, refrigerators, couches, tables, and even televisions. Choose weather resistant furniture, such as lounges and easy chairs that will withstand most climates. Benches are a good bet, as it offers an attractive seating arrangement to help foster conversation. 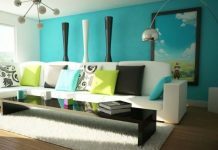 Lamps, stereos and even a fan can complete the look. There are many different stores available online that specifically cater to those people who need to furnish an outdoor living. For flooring options, you can choose treated wood, outdoor carpeting and rugs, or even stained and stamped concrete. Bluestone pavers make a beautiful flooring option. However, these are often expensive, so if your budget is an issue, you may want to consider traditional outdoor flooring materials. 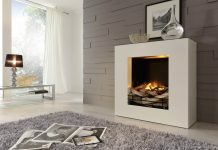 The choices are almost limitless when it comes to fireplaces and fire pit options. You can choose to sink a fire pit into the center of the floor or use a traditional stone fireplace along one walled area. 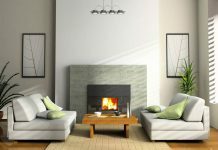 Some people also choose to install gas fireplaces, but traditional wood burning fireplaces are more common. Many people choose to install a covering or awning over the living room area to keep the sun or rain off of the furnishings. There are now retractable awnings that allow for you to enjoy the sun or the evening sky, but still have the necessary protection from the elements if needed. Some people find a outdoor water fountain or pond is a great focal point for their outdoor living room. Bird baths are also popular; however, just about any accessory including water will add to the enjoyment of the living room area. An outdoor living room will add value to your home; but it can quickly become one of the favorite areas of the home. 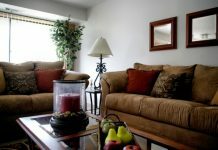 Entertaining is easy here and your guests will enjoy the chance to relax and enjoy your company. Next articleHow To Choose Stylish Stationary For A Home Office?